Spring has bounded into the Portland area! 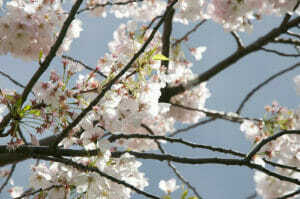 As blossoms emerge, it’s time to conduct the following basic tasks for the health of your trees. So as to give your trees a long, productive growing season, it’s best to complete these tasks early in the season, in March and early April. Let’s take a look at the tree care projects Portland homeowners and businesses can tackle to keep trees healthy this spring. Remove twigs, leaves, and other detritus that may have accumulated beneath and around trees. As we discuss in an earlier post on Portland Spring Tree Care Tips, warmer weather signals the time to remove any protective plastic or coverings you may have had in place during the cold winter months. Inspect Trees for Damage & Disease. Look for obvious signs of tree disease, including broken branches, holes, molds, and fungi. Also notice which branches do not put out blossoms or leaves—these are likely dead and ready to be pruned away, ideally by a professional Portland tree pruning service, such as Urban Forest Pros. Winter desiccation, also known as “winter burn,” can occur when plants dry out in cold winter conditions. Winter sunscald is another challenge; it manifests as vertical cracks in tree bark. Discoloration is another clue that something may be amiss. For instance, some plants will yellow if they receive too much water. If you have questions about damage, call an experienced arborist for sound information. Our Portland ISA-certified arborists can recommend when to remove branches, when to add supportive cables, and when it’s best to remove the whole tree, rather than risk it crashing down in the next storm. Trees bring dozens of benefits to your home or business! They reduce noise levels, stabilize soil, and give wildlife a place to perch. Trees also increase property values while decreasing energy costs. Spring is a good time to add trees to your property, as their roots will have enough time to dig in before scorching summer temperatures hit. Of course, every tree species has its own preferences, so feel free to contact us with questions about the best time to plant a new tree. Add Mulch. Mulch serves several purposes: It provides protective cooling during the hottest, driest parts of the year; it helps trees retain moisture; and it minimizes weed growth. Trees that are fewer than 10 years old should definitely be mulched, but trees of all ages benefit from mulching. Just be sure to leave a clear space right around the trunk; otherwise, damaging disease will have an easy foothold. Water & Fertilize. Once the soil has thawed, water your trees to keep their soil moist on dry days. Fertilization can also be done in the spring months. Fertilizer is a good idea whenever soil lacks the macronutrients and micronutrients that trees need to thrive. To figure out if an established tree needs fertilization, observe its shoot growth, i.e., the growth that happens in a single year. In general, shoot growth of less than 2 inches indicates a fertilizer may be required. Of course, certified arborists take many other factors into account when prescribing the best fertilization approach. Beyond soil testing, foliage color and the history of the yard should also be considered. As far as timing goes, it’s ideal to provide slow-release fertilizer prior to the tree’s springtime growth spurt. While fertilization timing varies by location, by soil conditions, and by species, a good rule of thumb is to apply fertilizer as soon as the ground is workable in the spring. From Portland tree removal to pruning to fertilization, you can count on Urban Forest Pros for springtime tree care. Our customers love how we go the extra mile when providing tree service. Portland-ers are so pleased with our work that they’ve given us four back-to-back Angie’s List Super Service Awards, putting us in the top 5% of our field. Call us today to arrange a springtime tree assessment for your home. What’s the Difference Between Landscapers and Arborists?